Do you represent a Michigan State Government Agency and wondering how you should archive all your web and social media content? Are you trying to determine what you need to do both from a legal and a technical point of view? Here’s a guide to the different Laws and processes you should follow. What Laws govern Records Management in the State of Michigan? 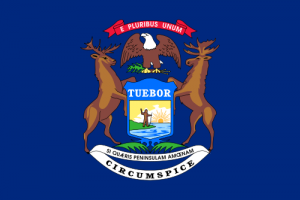 Michigan’s Freedom of Information Act governs Open records law in Michigan, regulating and setting requirements for the disclosure of public records by all public bodies in the state. (Freedom of Information Act, Act 442 of 1976). Do Michigan State Records Laws include Website and Social Media content? NARA state that that is a “[P]ublic expectation that all web content is both permanently valuable and accessible” – and so social media and web records are subject to these standards as well as the relevant metadata being pertinent to these laws. “Public record” means a writing prepared, owned, used, in the possession of, or retained by a public body in the performance of an official function from the time it is created. Mich. Comp. Laws § 15.232. What agencies are subject to these laws? Agencies, worded as “Public body” within Michigan State Laws, mean an agency, board, commission, or council in the legislative branch of state government, a county, city, or regional governing body, council, school district, special district, or municipal corporation, or a board, department, commission, council, or agency thereof; or any other body which is created by state or local authority or which is primarily funded by or through state or local authority. What is my agency required to do in line with these regulations? Each agency, utilising a coherent and transparent records management system should ensure the display, retention and making available for inspection and copying the relevant records. Your agency website must be retained in electronic format and remain usable, searchable, retrievable and authentic for the length of the designated retention period. In which form do I need to archive my records? Websites must be retained in their original format: HTML, CSS, PDF etc. How can we transfer website archives made with PageFreezer to the Michigan State Digital Archives? PageFreezer exports all data on request in the original file format including the required metadata. This data set can be transferred by FTP or by other means to the Michigan State or Agency Digital Archives. How can PageFreezer help our agency? Our clients know our technology is secure, reliable and authenticated. More importantly they appreciate the ease-of-use. That’s why our complex technology is simple to use – The archiving is automatic and retrieval is a matter of signing in, going to the date you want, and browsing your site just like you did when the content was just published. If you have questions about any of this or about how to actually implement effective Online Public Records management start a free trial, schedule a demo or contact us directly.